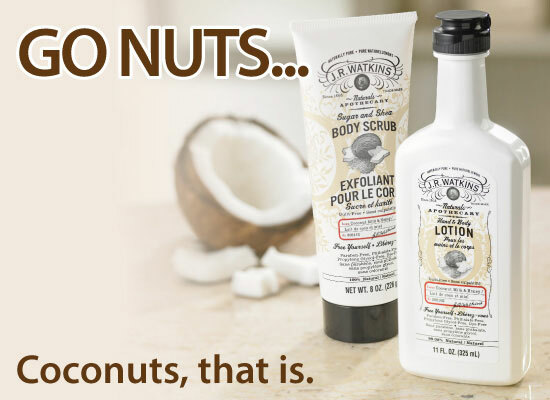 You will go nuts when you try our new Coconut, Milk and Honey Lotion and Coconut, Milk and Honey Sugar and Shea Body Scrub! I know we did when received one of each from Watkins as a gift while in we were Spain! We love this stuff, it smells so good and it’s amazing for your skin. An interesting note, when I first tried this I had a large, itchy patch of eczema behind one knee. The lotion and scrub seemed to help clear up the eczema. I was hesitant about using the scrub on the affected area as I thought it might irritate the eczema but I risked it. If you suffer from this you’ll know how good it feels to scratch the area. The sugar scrub gave gentle relief and the shea butter, coconut and other natural oils soothed and moisturized. Love how when you add warm water it melts into your skin. When I got home I did a bit of research. I discovered coconut oil contains medium chain fatty acids and has an anti-inflammatory agent. So when applied to the affected area it not only penetrates rapidly but reduces the inflammation caused by eczema or dermatitis. No wonder it felt better! In addition, the medium chain fatty acids in coconut oil prevent bacterial infections from forming on the skin. This can be a issue when one scratches too much or too hard. Believe me it’s hard not to scratch! There are many topical creams and lotions available today that can be used to prevent dry skin, the difference is that these contain other ingredients which may or may not offer relief or can cause further irritation. 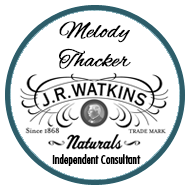 On the other hand, Watkins lotions and scrub contain natural ingredients for a more natural remedy for a variety of skin conditions. We’ve been doing some spring cleaning and using the scrub on our hands just before bed time, it makes our hands smooth and soft after a tough day of work. If you have oily skin you might find the sugar and shea scrub is too heavy or oily for your skin type. For those with normal and dry skin it’s a delight. The lotion would be suitable for all skin types as it has a lighter formula. Why not treat yourself or your someone special to these? They’d make a wonderful Mother’s day gift. You’ll find both these products online under the US specials or the Canadian specials.